Sold by the yard. Cut to order. 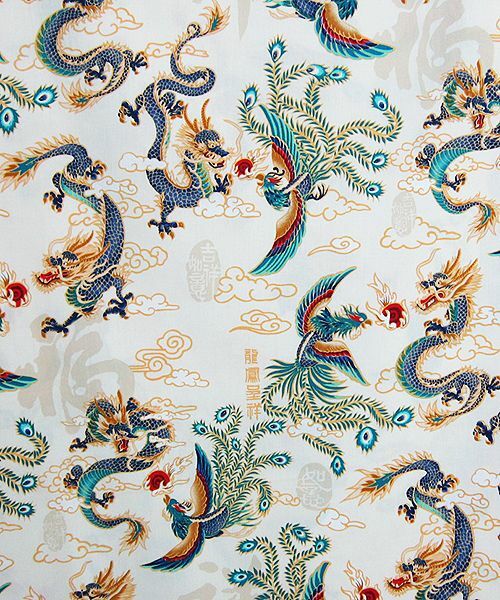 Indulge yourself in this opulent display of fire-breathing dragons and phoenix. Chinese inscriptions create interest and drama. In Asia, the phoenix represents fire, the sun, justice, and obedience. The mighty dragon is a mythical beast long celebrated for its benevolence, intelligence and good will. 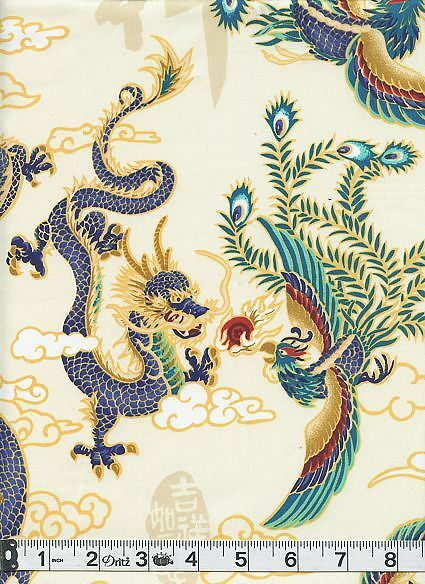 The dragon and phoenix are the perfect couple in Feng Shui. 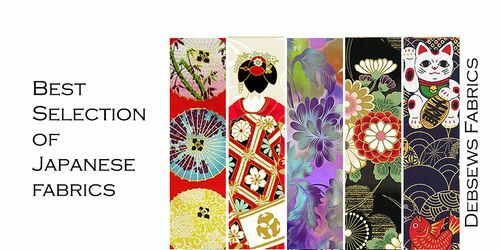 Dragon is "yang" while Phoenix is "yin", and they complement each other in creating yin-yang balance to harvest successful matrimonial bliss. Larger dragons are about 7 1/2 inches. Phoenix are about 8 1/2 inches.